I was introduced to coconut oil by a friend a while back but never reaped it’s benefits for myself until earlier this year when I got sick. I did a lot of research on the benefits and it completely amazes me how versatile this oil is and the endless benefits from it as well. I used it for when I had a cold and put some in my coffee and tea. Surprisingly enough, it didn’t have a strong coconut taste, which for me is great considering I hate coconut! In fact, it was practically tasteless in my hot drinks. What impresses me most about coconut oil (other than the multiple health benefits and uses) is that it can potentially help cure or prevent Alzheimer’s disease. I just blogged about this today, too! 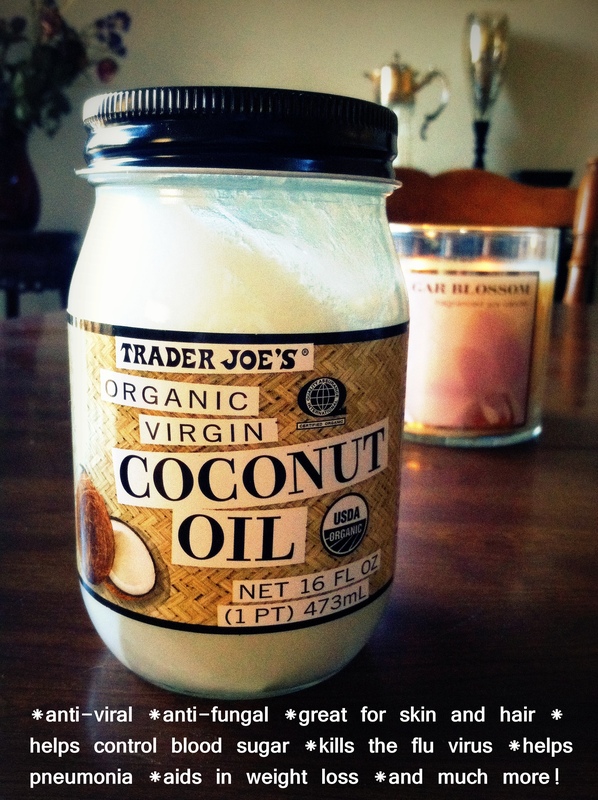 Loving the coconut oil and all the health benefits! Thanks for the links! I love my olive and avocado oils, but as soon as I switched to coconut oil I swear it’s helped me lean down…with some intense cardio sessions, of course lol! Yep! I’ve heard it aides in weight loss 🙂 pretty cool! And congrats!